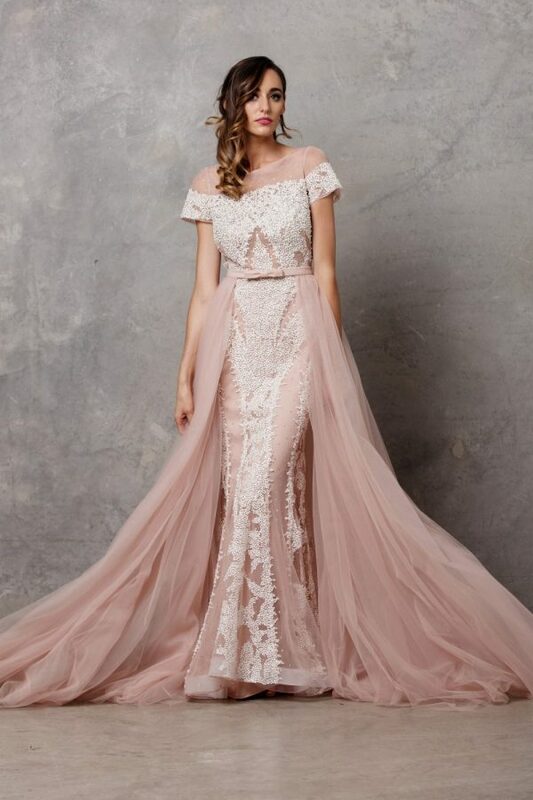 The Brylee Wedding Gown features delicate straps for a feminine bodice of figure hugging lace applique, cascading through to floor length crepe. 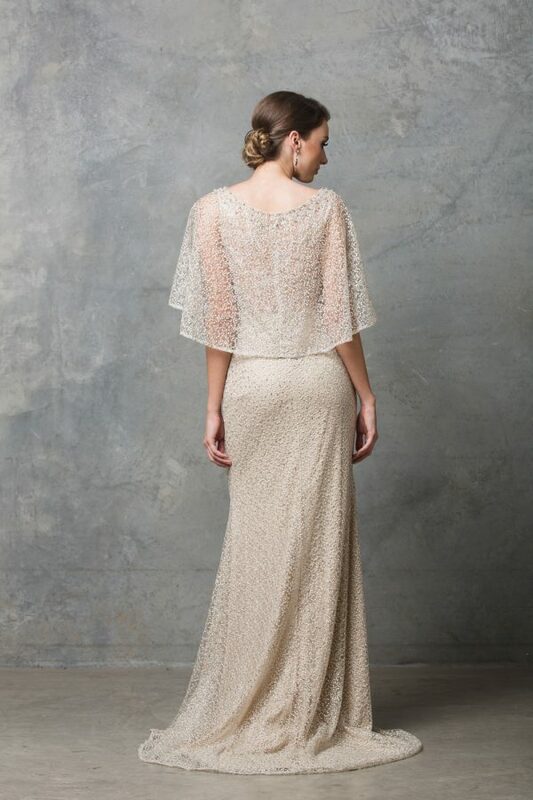 Turn heads on your special day in the captivating Tania Olsen Designs Brylee wedding dress. 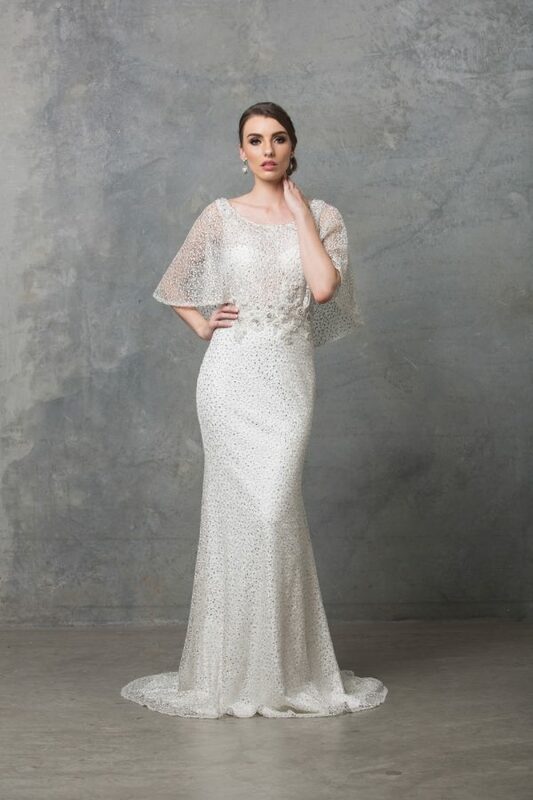 A thin strapped, lace applique feature and medium cut bodice create a truly beautiful silhouette, which then flows through to a soft, floor length crepe skirt.